February 14, 2011. 6:00 PM. The taste of the cigarette still lingers in my mouth right now as I ride this train on the way to Hamburg. I don’t like wearing dresses actually, but I have to anyway since she told me that I look gorgeous every time i wear this red lipstick, this black dress and this black stilettos. I turn her on. Me and Cassandra have been together for months now. I don’t think that I actually love her. Is this lust? I don’t know either, all I know is I have been changing partners when I realized that I like women too, or maybe I’m confused. I don’t like describing my life, myself, my dreams or my family. This is just me, just plain me. 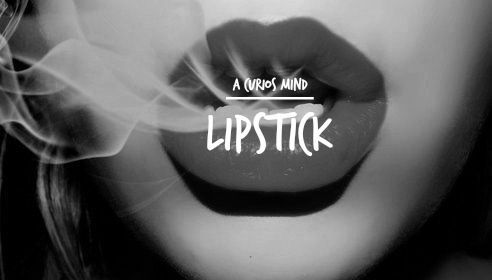 I am curios but I don’t believe in anything. “Why it’s taking too long KC, where are you now?” Cassandra said over the phone. “I’m already here in the train Cass, I’m sorry it’s ju….” The train just suddenly stopped. The place got dark and collided with crushing sound of glass window and loud train break. The silent train turned into chaos as I hear the screams, cries and shouts all over the place. I lost my balance when the trained stopped. I found myself lying on the floor----actually, on a man’s chest. I can smell and feel his breath on my face. The place is dark, making it hard for me to see his face. February 14, 2011. 6:40 PM. The train authorities said there’s a collision of two trains due to the explosion of power fuses. This caused the failure of control, signaling system and power supply. It’s not hard for me to understand these kinds of technical problems since I studied Electronics in college. Thank goodness that nobody got a serious injury on that accident. All I can remember was that I’m standing in the train. Everyone lost their balance when the train stopped. There’s a woman, wearing a black dress with her funny red lipstick landed on my chest and we both fell on the floor. I can smell and feel her breath on my face. The place is dark, making it hard for me to see her face. When the lights turned on, I helped her to stand up and ushered her on the chair. “Are you alright miss?...I’m Brian by the way” offering my hands to shake with hers. That's interesting to read both sides! Hi Mary, yes, i thought of getting their minds to understand them. Good story. :-) Ikaw ba ang sumulat nito? Yes Ish. :) Hindi ko inexpect na maganda to hahaha. Hi Steve, I hope this book has a good ending. You have a mighty talent here. Seriously. Makes me wanna get back to writing. I really need writing back in my life, seriously. Aw Mich, i dont know that, i dont have the courage to write, this is my first time. Thank you. please do write one, i wann read from you. Exciting plot. Two thumbs up! Very interesting - to write from both views. Can't wait for more. This is like thousand and one nights stories, have to wait for more. Good story, keep the readers curious. Beautifully written in the two first person views. The last part about how they fell made me eager to read more. The sudden suspense at the beginning grasped my attention. Thanks harlynn, i never really thought of getting a positive response from you guys, really glad that you appreciate it! On your chest, eh? Not lipstick on your collar, Connie Francis. I guess you're too young to know this song. hahahaha, i think i could use that as a soundtrack for this! hahahaha. And yes, idk the song but i can search it! Aw thanks lou. I usually think a lot and dream a lot of things that might happen to me, so to answer, it could be my imagination or current life issues i have. Hi! Very interesting start of the story. Thanks for sharing. Dude... COOL!!!!!! :D :D :D Cheers Sir just keep on doing what you're doing and you'll be fine!! Nice!! AW, thanks for appreciating jeng! I am not a reader but this nice story! Aw thanks Louise, i would say, expect the ending, you wouldn't expect it more! haha.